Mozambique has an edge. It is a country still recovering from 16 years of civil war, with crumbling Portuguese colonial architecture, a heaving, vibrant Afro-latin culture, translucent waters flush with marine life, ivory sand curves of beach where travelling salesmen peddle cashews, and a Unesco World Heritage listed island little changed in 100 years. But with the central province of Sofala currently inhabited with Renamo rebels threatening to cut off the north-south road (the only road which joins the two halves of the country) travelling has become either a dangerous or expensive affair. With flying out of my budget, in mid 2013 I travelled from the south of Mozambique to the north, accompanied by armed convoy on the 100km stretch of road considered most dangerous by the Frelimo Government and discovered a country overflowing with natural wonders, an alluring history, and a people desperate to keep the peace as the country teeters on the brink of unrest. 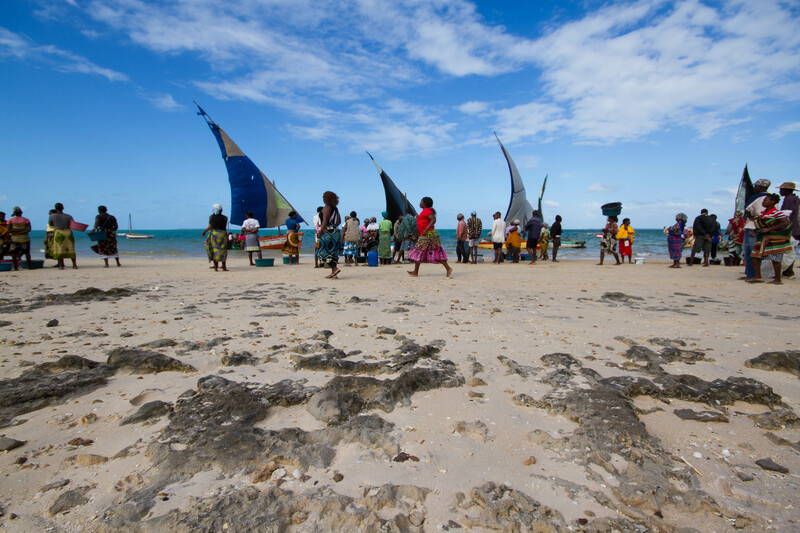 These are some of the images I took during my time in Mozambique. Unfortunately photographs were strictly prohibited at any stage of the armed convoy.